Actors. Musicians. Athletes. People name their kids after all sorts of people, so why not after a Super Saiyan? 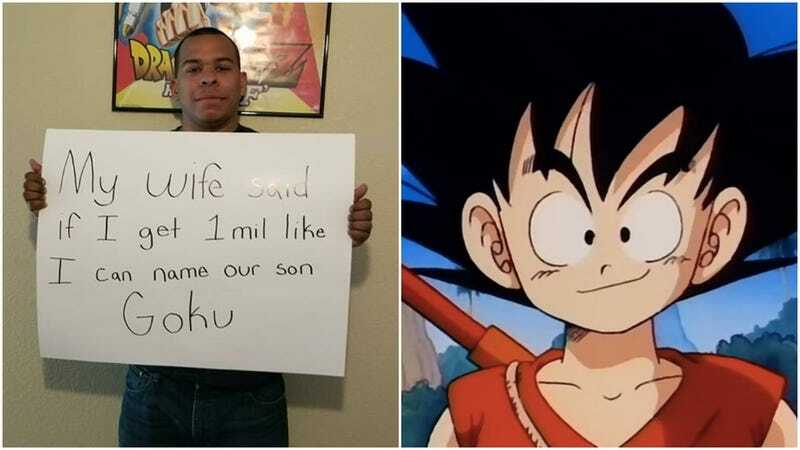 Last week, Carlos Sanchez took to Facebook with a sign that read if he got a million likes, he could name his new baby boy “Goku.” Currently, the photo has 1.4 million likes. His wife agreed to hold up her end of the deal, and it’s official. The kid’s name will be “Goku Sanchez.” Congrats! Or should I say, kamehameha?